Initial thoughts: Oooh pretty! I want that dress. And that fan. And that gold shawly-thing. And that headband jewelry thing. And what do I need to do to get my hair to look like that? Want, want, want! What I expect: Court gossip, scandal, and juicy secrets. Just look at the way she's peering over that fan! She is totally up to something. Magic? Never would have guessed by the cover alone. Historical? Oh yeah, that's obvious. Reality: A light romp through Disney-sweet romances and magical fun. There is court intrigue, but it is not nearly as scathing as I originally expected.Oh, and it's about twin sisters, which I never would have guessed based on the cover. Initial thoughts: Can I get a print of that to hang on my wall? I could stare at this cover for hours. What I expect: I have no clue. Fairy tale retelling, maybe? Fairies? A touch of romance? Magic? Probably, though I'm not really sure what kind. I'm leaning toward the fairy godmother, witches, or fairies type of magic though. Historical? Maybe, or maybe just the "generic medieval-like village" found in fantasies. Reality: I don't know exactly since I haven't read the book yet, but it is described as a "Snow White tale filled with magic and intrigue during the early twentieth century in Appalachia," so pretty close to my initial impressions. Initial thoughts: I like the flowers in her hair, and you can never go wrong with swirly fonts. The colors are pretty. I'm intrigued. What I expect: She looks a little, erm, loose for an historical gal--is that what's wicked? I don't really know what to expect, but I want to find out more. I get a strong feeling that there will be some kissing going on! Magic? The branches at the bottom and her eyes make her look a little witchy, but it's a very subtle vibe. The subtitle at the top that says "The Cahill Witch Chronicles" is a bigger tip off. Historical? Her clothing makes me think no (a skirt that high? That's a little more daring than showing a bit of ankle), but the cover has a "not of this time" feel to it, so maybe? Reality: Again, I haven't read this yet, but I know it takes place during the 1890s in an alternate New England and includes witches. So a moderately accurate cover, but definitely effective at catching my eye. Initial thoughts: Pretty purple dress! A pun! I love puns, and purple, and pretty dresses. I'm sold! Also, she looks like Rachel Lee Cook and now I feel like I need to re-watch She's All That. What I expect: Honestly, I don't. I'm still stuck on the pretty to give much thought to plot. Maybe it's a biography about Jane Eyre, like that movie Becoming Jane was for Jane Austen? Except, Jane Eyre is a fictional character, so that doesn't work. I don't know, can I just keep looking at the pretty? Magic? Her dress does seem to have a magical glow to it, but no, I don't get strong magic vibes. Historical? Yep, I fully expect an historical story with all of the balls, courting, and manners that entails. Reality: Haven't read this yet either, but I do know it's about a modern girl who finds herself sucked into the story of Jane Eyre (and into Jane's body!). I haven't read Jane Eyre yet, but she's a governess, right? So I'm not so sure how many balls there will be, but I do know there's probably a hot brooding guy! What's Ruby up to today? Check out our Historical Fantasy Jubilee full schedule of events and giveaways! 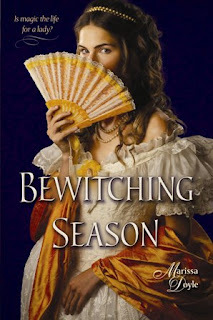 I think I like the cover of Born Wicked the best, followed by Bewitching Season - I must like it when girls look mischievous and up to no good! Snow in Summer also looks like something I'll enjoy, but with those 2 movies coming out, I'll wonder if I'll get sick of Snow White stories next year? The only cover I'm 'meh' on is A Breath of Eyre. I think the dress is too frumpy. But Jane Eyre is a plain Jane-type, so it's fitting for that character. 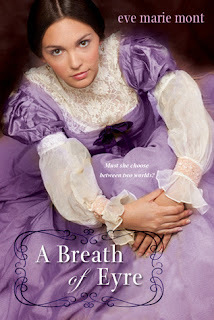 I can't wait for A Breath of Eyre either! It looks fabulous. Although first you *must* read Jane Eyre!!! It's amazing, one of my favourite classics. Snow in Summer looks so cute! The one I like the best is Born Wicked, although it seems that pose is getting a bit overdone for me. I feel like I've seen it a few times in newer books. I would read "A Breath of Eyre" because I love the book "Jane Eyre" so much. The Born Wicked cover is my favourite, although I was a little surprised when I first heard it was set in the 1890's mainly due to how she is dressed on the cover - it gives the book a modern feel. I can't say A Breath of Eyre and Bewitching Season would have catch my attention. They seem pretty ordinary to me, so i would have probably pass. On the other hand Snow in Summer and Born Wicked, both have something intriguing in! They make me want to read them. They look pretty magical and unique to me! 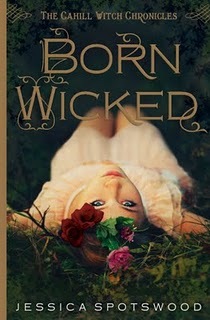 I love the Born Wicked cover. The colors are so pretty. And I wish I could see the dress she's wearing better. It looks really pretty. Breath of Eyre is stunning in that it's such a close up photo of the dress. It's not that different from a lot of other covers, but it still catches my eye. Born Wicked is one I've loved for a long time. I really love how the girl is posed on the cover. 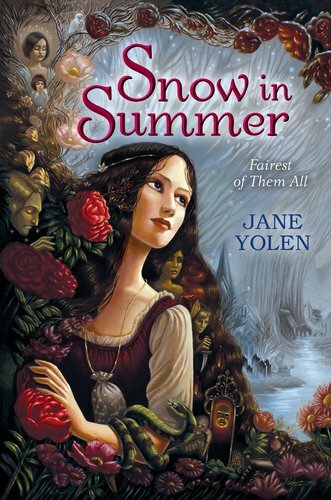 Also, I'm with you, the cover of Snow in Summer is beautiful and I'd love to hang it on my wall! I'm not a Jane Eyre fan, and I don't really recommend Mr. Rochester for reasons I can't discuss with those who haven't read the book. I do want to know why the lady is so pretty and so is her dress. Jane's supposed to put the plain in Plain Jane, and she dresses in governess-appropriate drab dresses. This cover makes me hope for a retelling that's a little less...gray. You got Born Wicked spot on! I've read it and it's awesome. The clothing on the front has bothered me. I always think it looks like she's in her underwear for the times, but now that you say it looks like a dress, I think it's just pulled up to her knees. I don't know a thing about the other covers, but I have to disagree about the purple dress, rip that lace up to the neck off and put a little discrete ruffle on her bosom and it would be much prettier. I'm choking looking at that neckline! But the color is gorgeous! How can you claim to love Gothic novels and not read Jane Eyre? Oh, it's the epitome of Gothic novels! It's like Wuthering Heights. And smoldering guy is a double entendre in this case. Those who have read it will know what I mean. It's mean of me. Snow in Summer sounds interesting; adding it to my TBR as we speak. You haven't read Bronte's Jane Eyre? Read it, right now! Go! It's amazing, and one of my favorite books (don't tell Miss Austen). TG, I agree, their expressions in those two covers are great. I didn't even think of the two movies, but you're right. Hm, I wonder why that fairy tale is getting so much attention lately. 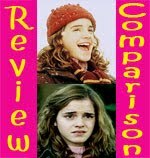 The Slowest Bookworm, I think it's funny that your favorite cover is the one that is least historical looking :) Makes sense! Danya, I know! I really need to get on that ASAP. We Heart YA, Thank you! I think that cover is one that will only grow in beauty when you can see it up close and all the little details become clearer. Yiota, I agree, Snow in Summer and Born Wicked totally draw me in and make me want to read them! Alison, I think it's the colors on both of those covers that really catch my attention. 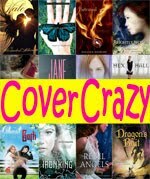 Jen, I would totally love to plaster my walls with all of these gorgeous covers coming out lately. Ruby, A modern girl inhabits Jane's body, so maybe she brings some zest to the story? Couch Potato Critic, I even had grand plans to read Jane Eyre for the Gothic Reading Challenge, but of course I didn't :( I'm signing up for another challenge and JE will qualify, so hopefully I'll finally get to it! Oh, is this a new "meme" like post for you. I noticed the (1). 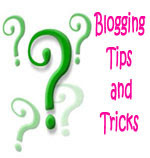 I like the format and the information you present. Its fun. I'm guessing you've probably read or are familiar with all these books. I love covers and this really takes it to the next level. As for the actual covers though, I'm with The Slowest Bookworm, I'm not a big fan of any of them, but Born Wicked. I think that one is beautiful. Gina, It might be a new feature! At least, if people seem to like it :) I've read some of them, but not all. Born Wicked looks even prettier in person. I gasped when I saw it!